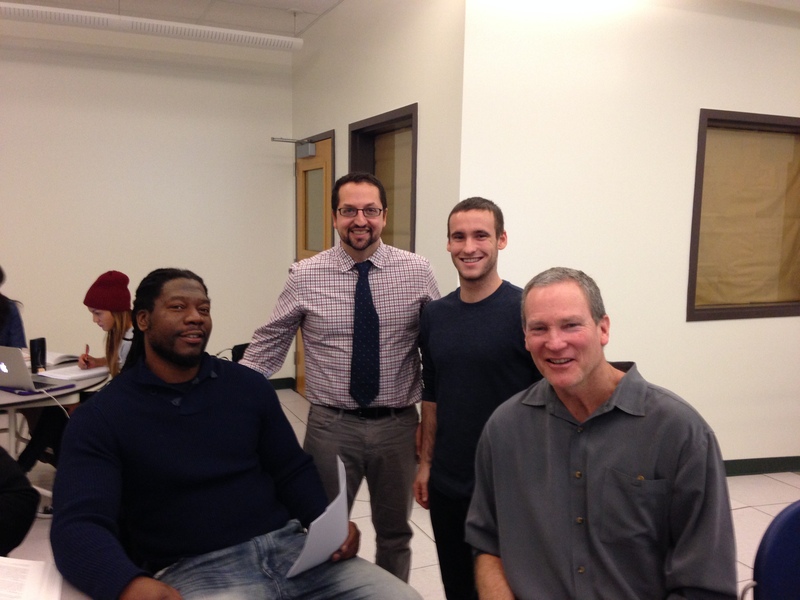 Dr. Arturo Baiocchi (assistant professor of social work at California State University, Sacramento), along with graduate students Matthew Foy (sociology), Russ Reed, and Antoine Watkins (social work) are helping to conduct a community needs assessment in Sacramento’s River District. The project, a collaboration with Sacramento Steps Forward (SSF), has a focus on homeless adults who have recently traveled to Sacramento. SSF connects individuals experiencing homelessness to a wide array of housing services and programs in the community. In January, SSF began a new street outreach and coordinated entry program—Common Cents—to engage chronically homeless individuals. Equipped with an online-assessment tool, outreach workers are able to quickly assess individuals and coordinate their entry into appropriate programs. Since its launch, the program has interfaced with over 1,200 individuals and assisted over 200 transition into a housing program. More broadly, SSF has helped house over 2,000 individuals over the last year. 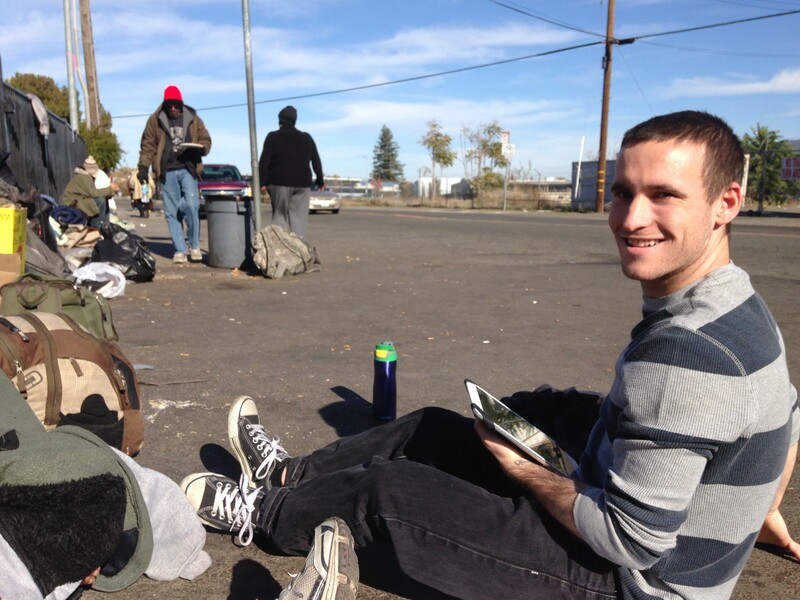 Matthew Foy, sociology graduate student, conducting in-person interviews with individuals at a homeless encampment near the bus-station. SSF recently asked Dr. Baiocchi and his students to help facilitate an exploratory project to understand motivations and factors that bring homeless individuals to the River District and Sacramento more broadly. Because of its proximity to bus and train stations, as well as some service providers, the River District is often perceived to be an area where homeless individuals congregate. However, little research or data exist to support this assumption. Moreover, it is unclear why some individuals experiencing housing instability travel to Sacramento, and whether many, if any, do so to access services in the city. What proportion of individuals contacted by SSF in the River District have traveled to Sacramento within the last 30 days? What motivates individuals to travel to Sacramento (e.g. seeking employment, passing through, central location, access to services, etc.)? What are the perceptions that individuals have of Sacramento, with respect to available services and supports? What new types of services and supports would these individuals benefit from, and can SSF provide these benefits? The project hopes to explore the complex realities underpinning the ‘magnet myth’ of social services; the perception that increasing access to services attracts more homeless people to an area. More broadly, the project hopes to shed light on the motives/factors that contribute to transient homelessness in Northern California, particularly with respect to housing-insecure young adults traveling by bus and the challenges they experience accessing services and supports. Insights gleaned from the project will also help SSF more effectively tailor its outreach services to address the short and long term needs of its clientele, particularly those that have recently traveled to Sacramento. 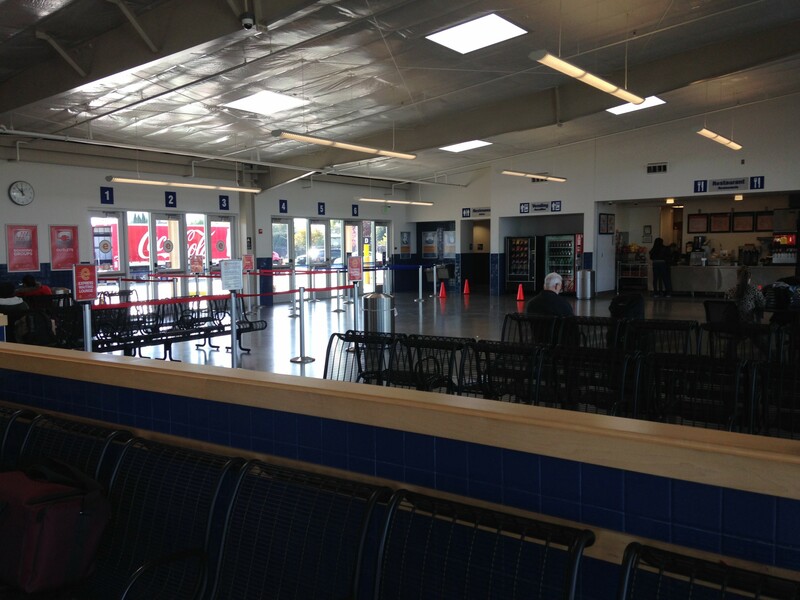 Interior of greyhound bus station through which some individuals travel to Sacramento. Dr. Baiocchi and his students are helping train SSF staff on research methodologies associated with survey design, sampling, interviewing protocols, and qualitative approaches. Students will also be helping SSF contextualize their findings with respect to the research literature on issues related to transience, homelessness, and young adults. Students will help SSF facilitate a public presentation of key findings of the project to the community in Spring of 2016.